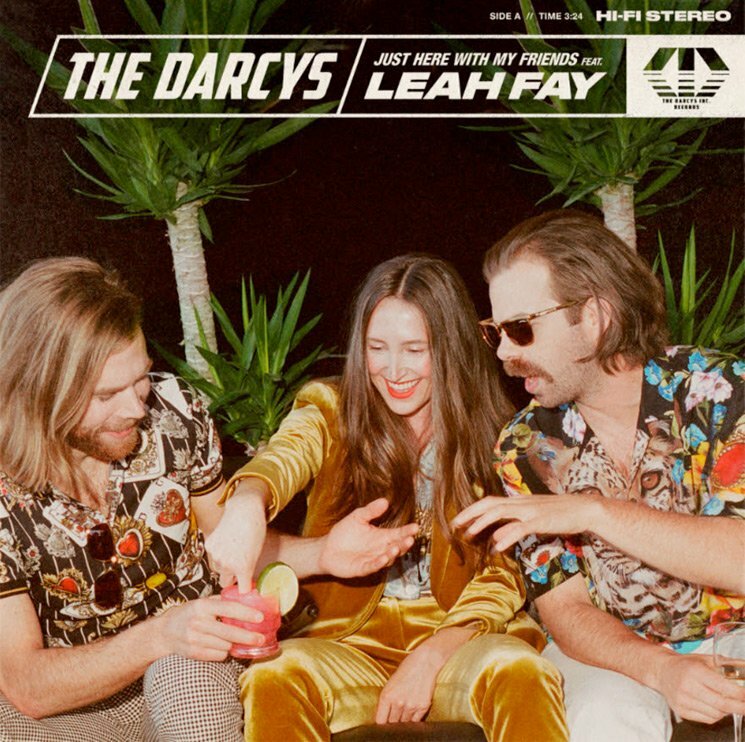 They've remixed the Arkells, guested on a Muneshine track and delivered a Christmas tune, but the Darcys haven't shared a new single in quite a while — until now. They've joined forces with July Talk frontwoman Leah Fay for a new song called "Just Here with My Friends." The track hears the Toronto musicians crafting a narrative that steers clear of typical gender norms that often emerge from songs about two people meeting at a club. "Mindless pop songwriting often perpetuates a multitude of boring and damaging gender norms that have nothing to do with real life," Fay told Billboard. "We wanted to see if we could write a song about two empowered humans meeting in a club that wasn't predatory on either side." Here the final results of that collaboration below.